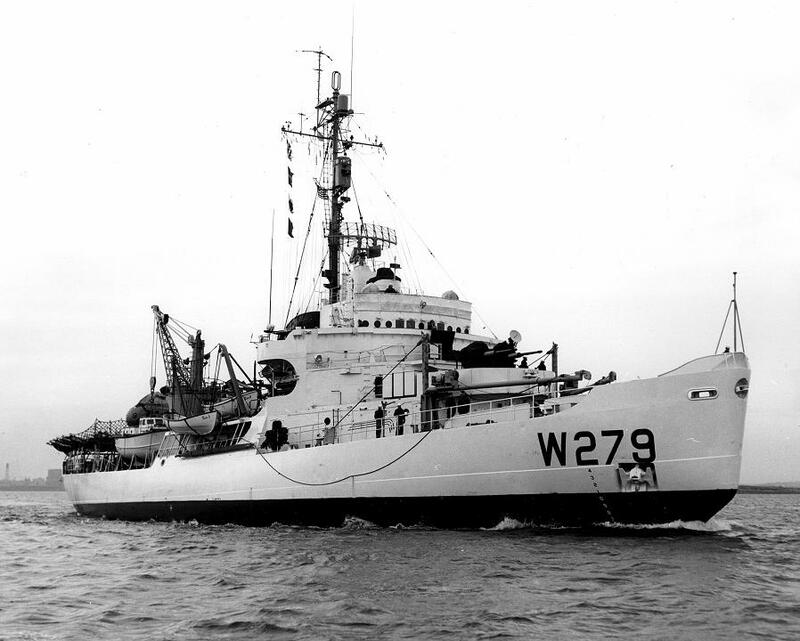 Type and Characteristics: Diesel-electric cutter, one of seven Wind-class, WAGB-279, built by Western Pipe & Steel Co., San Pedro, CA at a cost of $9,880,000, laid down 23 June 1942, launched 6 February 1943, commissioned into USCG 3 June 1944, 6,515 tons displacement, 269ft long x 63ft beam x 25ft 9in draft, 13.4 knots, originally armed with 4-5in/12-40mm/6-20mm/depth charges/Hedgehog mortar, disarmed by 1967, helicopter flight deck, 219 crew - 12 officers, 2 warrant officers, 205 men (1967). Log Period and Areas of Service: 1944-68, Greenland, Arctic, Antarctic, Circumnavigation, Great Lakes. 1944 - Stationed at Boston, serving with CINCLANT, duties to search for German weather stations on Greenland. 4 October 1944 - Captured German weather station on Little Koldewey Island and took 12 prisoners. 15 October 1944 - Captured German trawler Externsteine (renamed East Breeze) and took 17 prisoners. 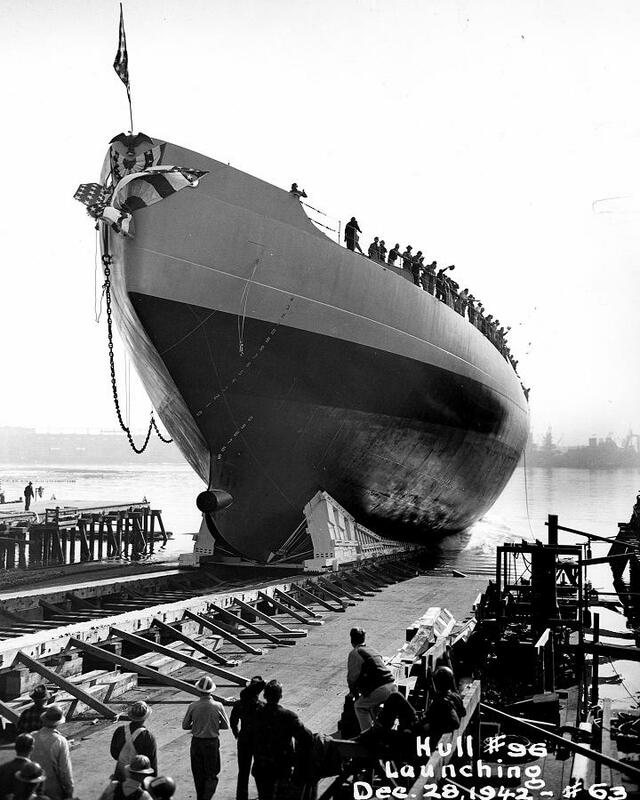 1946-1947 - Remained at Boston as homeport after the war, and for rest of her career. Made four supply trips to Greenland bases. 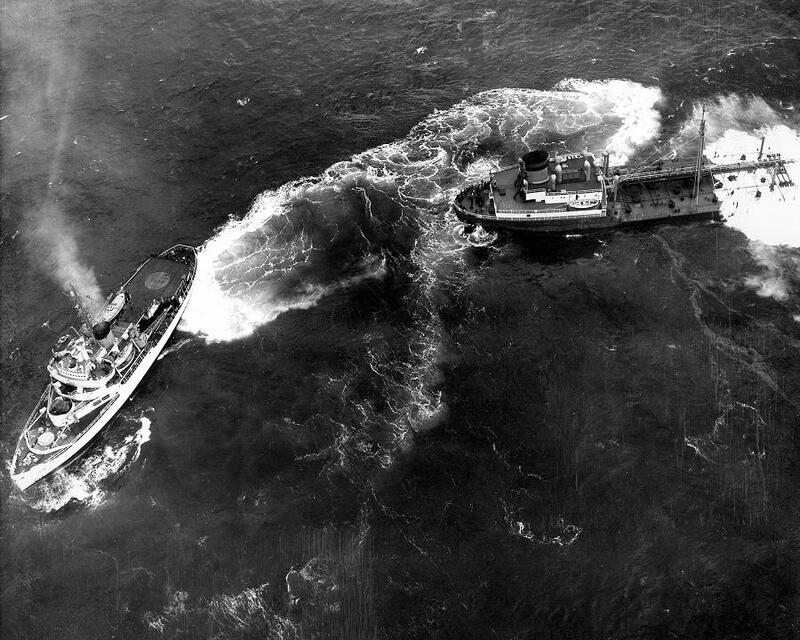 19 January 1949 - Collided with tanker Gulfstream off New Jersey and severely damaged. Thirteen members of her crew killed. 1950-65 - Re-supplied Arctic bases in the summer months of 1950, 51, 52, 55, 58, 65. December 1954-January 1955 - Re-supplied Narsarssuak AFB, Greenland. 1955-66 - Took part in seven Deep Freeze operations during the Antarctic summers - around November to March of 1955/56, 59/60, 60/61, 61/62, 63/64, 64/65, 65/66. 9 February 1959 - Freed the icebound MSTS (Military Sea Transportation Service) Chattahoochee and Eltanin off Newfoundland. 25 October 1960-May 1961 - Global circumnavigation starting and ending at Boston, during which she took part In Deep Freeze '61. March 1966 - During Deep Freeze '66, ship's helicopter assisted with flood relief in Argentina. 7 February 1967 - Rescued trapped Danish Antarctic supply ships Nella Dan and Thala Dan from heavy ice 40 miles off Budd Coast of Antarctica. March-April 1968 - Icebreaking on the Great Lakes to extend navigational season. 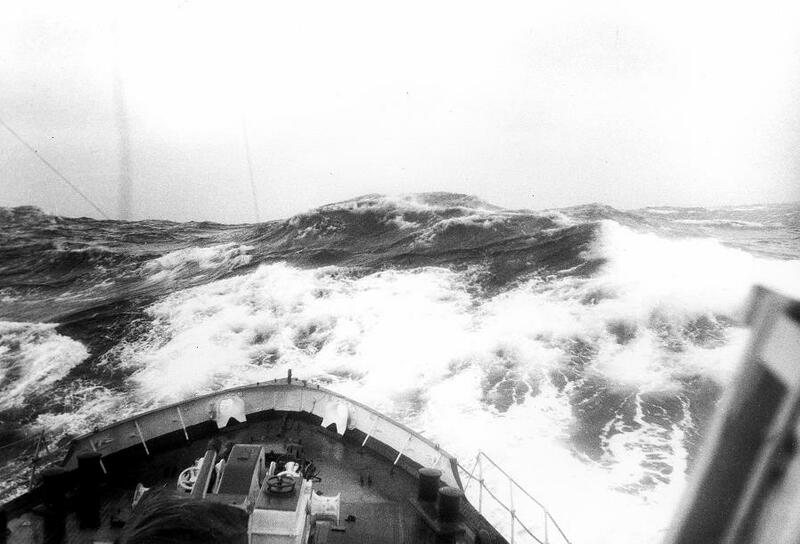 18 July -8 August 1968 - Oceanographic survey along west coast of Greenland. August-November 1968 - Took part in MSTS re-supply cruise to the Arctic. Fate: Decommissioned 13 December 1968, sold.